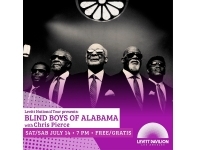 USPA NEWS - Five-Time GRAMMY Winning Gospel Icons, Blind Boys of Alabama, will headline a Show-Stopping Performance at Levitt Pavilion Los Angeles (MacArthur Park) this Saturday, July 14 at 7 PM, as part of this year's Levitt National Tour. Levitt LA is honored to bring the Remarkable Talent of these Living Legends to the Heart of the City for their Only Concert in LA this year. 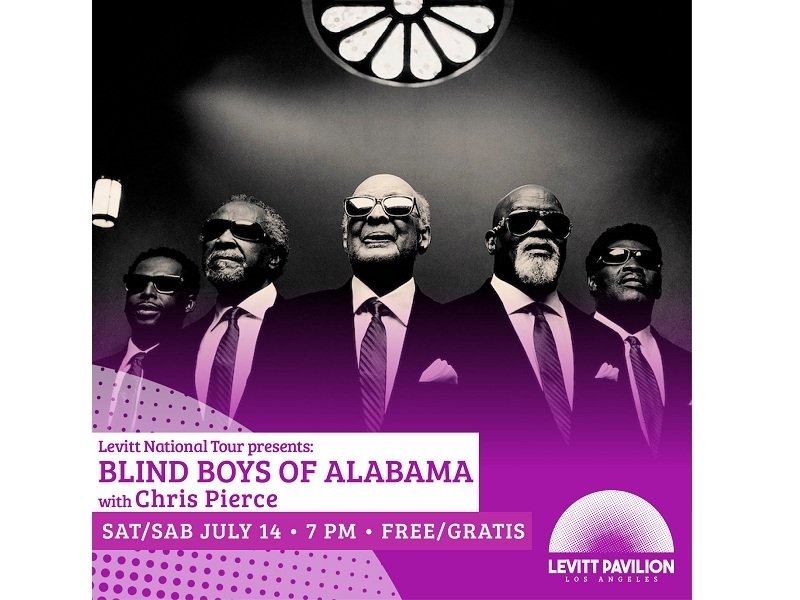 Five-Time GRAMMY Winning Gospel Icons, Blind Boys of Alabama, will headline a Show-Stopping Performance at Levitt Pavilion Los Angeles (MacArthur Park) this Saturday, July 14 at 7 PM, as part of this year's Levitt National Tour. Levitt LA is honored to bring the Remarkable Talent of these Living Legends to the Heart of the City for their Only Concert in LA this year. As Groundbreaking Pioneers in Gospel, Soul and R&B whose Music has captivated Listeners throughout a near Eight Decade-Long Career, Blind Boys of Alabama epitomize the Enduring Power of Unity and Perseverance through Music. Saturday's Celestially-Harmonic Concert will feature a Special Supporting Set by LA Singer-Songwriter, Chris Pierce, offering up Powerfully Exuberant and Smooth Vocals Akin to a Modern-Day Otis Redding. The Levitt National Tour is an Annual Programming Collaboration of the National Network of Permanent Levitt Venues and celebrates their Collective Impact in Communities across the Country. Now in its Fourth Year, the 2018 Levitt National Tour will stop in Seven Levitt Cities throughout the Summer. Due to a Recent Death in the Family, initial Co-Headliner and Southern Rock Raconteur Paul Thorn has returned to Mississippi and will be unable to perform at the Levitt LA Tour Stop as previously billed. The Levitt Network extends Heart-Felt Condolences to the Thorn Family during this Difficult Time.